Endelig! "Rytme" på Forsiden !!! As an unsigned and indipendent artist you allways ‎have eies and Ears open, for What eies media is avalable for and compateable to you music ! I head of E.V. On Twitter, With both eies and Ears open, social medias Are a great tool for “Indies”.. I grew up in the countryside of Danmark Close to Copenhagen, While I listened and Learned from our famous DJ from tre 80’ies Kim Chumacker, Who livet in N.Y. And live and die for Rap and Hiphop..unfortuneablely, he died young from Aids ..And after moving ‎to Copenhagen and going in High Scool and getting Social with famous Danish rappers like Jazz H. And MC Einar, decidering with genre to present, thi choice was easy,the direct and “down to earth” way of Hiphop, allways charmed me..
It’s kind of a long Story..Getting Social and growing up in the Streets of Copenhagen, I got a lot of “alternative” and more intellectuel friends and homies Who studied f. Ex. Polietics and Art and being somekind of special, after All, ew all Are, they gave me the nickname “RytmeHans” after an imaginary person in a danish song by a legendary danish band, Called “Gnags”..I‎ never really fund out if the song was abort me, so I geuss it’s “take it og leave it” og that..
Online musik sharing and socalled social medias Are great way to share and ‎grow multicultureal Art and music accros races and borders and as an indipendent artist you soon learn to use it and share, not only your own art and music, og for That sake also political stuff, you easiely soon grow to become a social influencer, and I think that the most great abort it is, that er All can do it, it’s not a prevellege, lige newspapers og magazines lige yours, we All have egueal chance, there…I give All most ALL My fans free music, it’s eyesier for me and for them, and I don’t make music for the money.. Artist: As I said before, Social Medias Are a great way to “grow” your buisness, and you mest allways Remember that it gas to be fun! That is part of the game course‎ When it gets too much a “job” and you only do it for fame pr for money, it gets booring and dies..You allways have to enjoy what you do and kind of “play” with it!! There Are mutliple great way to influence on the internet, f.ex. “CoPromote” where you share with One another and don’t have to pay for it.. The chance of making mistakes‎ is also part of the game, it would’nt be funny if that part was’nt there, it Makes you high to take the opportunaty, and the risk of something going wrong.. if I loose My line,i just freestyle a bit, people often dont know the text, og they dont listen..
My raps Are often either political og abourt love.. I bellieve thoose two subjects are the most importent and most relevant to art and music like Rap..
RytmeHans ‎: I do man things, aloong with RapI and I have many sites too! So if people want to choose for themselves They should go to www.itsmyurls.com/RytmeHans as it has ALL My Urls, together there. RytmeHans : I once made a Rap called “FisseRap”. It means “PussyRap” and we made it as somekind‎ of mediastunt! But it didnt make the charts, instead it made us a bit ridiculous and embarressed, and People didnt get the Great idea”.!! Exposed Vocals: If you were given half a million dollars and a year off, what would you do? How would you spend it ? ‎If I ejer get That kind of ‎Money I think I would share with poor people, or make charity for Africa, that would be something about free abort and prevention and digging Wells.. I am at an indie studio in Copenhagen Called RooserMusic.dk in asiociating with a project Called “Netværkstedet Thirvaldsen” where I have been a member og te board for som years, triyiing ‎to help indies and “not rich” People, like myself, to “make the grades” ! It is a great opportunaty, for us, to help others Who has a opinion og a message, to be heard!! And though we dont have a lot og money we struglle Hard and it is worth it to see Your friends there, get to the top and acturely make it!! We Are very proud og ourselves and that it acturely works..And we Are aligned All over tre World!!! At RoosterMusic.dk we dont get promotion‎ so we are forced to makeup ourselves and Thor is a great challence for ud, to find watt and opportunaties to both perform and promote online, is a Nice task, to tale up, it is great working as a Social Influencer and you get to meet a lot of Nice people as you get social online, f. ins. I at presently working at a World/Rap-fussion Thing we call “The Modern World” witch is, at it says a world/Rap project, mostly about Africa! I have The great chance t‎o work with a lot of charming and warm people and The single “The Modern World” is allready out, on The sites, and I am vers proud of it! I have a great felling for Social Sicurety mental fitness and‎ Chariety, so I ugess I would be working as a politician or a doctor, og som kind.. I remember stopping with My farther, in tre car by a gasstation and buying‎ an LP with Boney M. ! Music made me electic and it was not only anusing it was fantastic and magical!! Thi Sony “Walkman” was just out and taking Music with me, whereever I did go, became‎ not just a habbit, but a large part og My life..I love Music.. I have somekind of insurrence.. 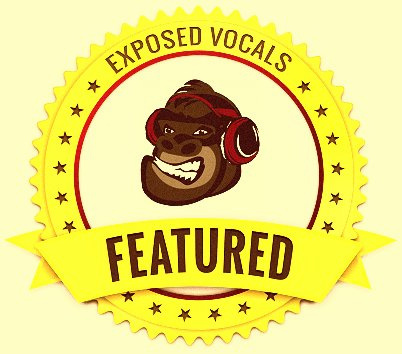 Exposed Vocals: What should fans look forward to in 2016? “The Moderne World” is a very New and interesting Thing, in English, so I Hope they agere and live it! Hvis du ku li Interviwet så del det´med dette link på FB eller Twitter!